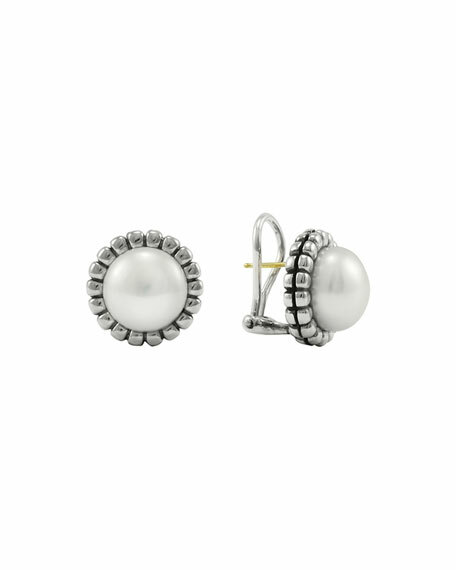 Classic freshwater cultured pearl LAGOS earrings framed by flutes of sterling silver are just the right touch for everyday ensembles. Post backs with omega clip. Phoenix stud earrings by Elizabeth Cole. 24-karat yellow gold plated brass posts. Baked enamel and clay flower motifs. Swarovski™ crystals at center. Post backs for pierced ears. Made in USA. 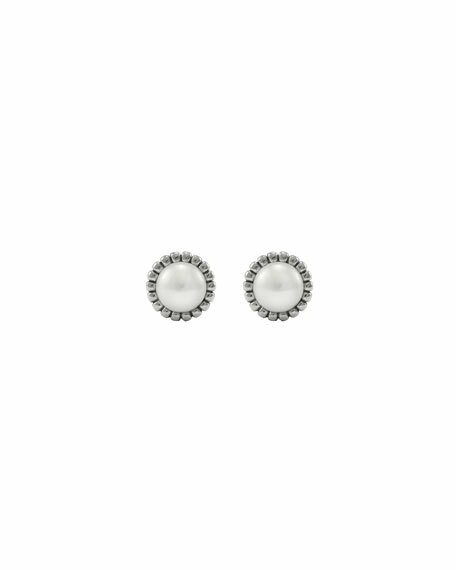 John Hardy stud earrings from the Bamboo Collection. Signature sterling silver with bamboo motif. Black spinel and black sapphire pavé.